Since its inception in 2005, National Geographic’s Genographic Project has utilized advanced DNA testing in its work with indigenous communities to answer cornerstone questions behind human origins and how we populated our planet. More than 903,543 participants in over 140 countries of the world helped shine a new light on our past as a species. Genographic is a real-time research project, allowing you to learn more about your past than you ever thought possible. Our review of the National Geographic Ancestry Test will cover all the intricacies of the company’s ancestry exploration and answer one question to rule them all: whether the benefits of this test outweigh the price tag. This test is ranked #10 on our Best DNA Ancestry Tests list. For its ancestry testing project, National Geographic partnered with Helix, a DNA testing company associated with high-impact names like Mayo Clinic, Duke University, GoodStart Genetics, Mount Sinai, and others. 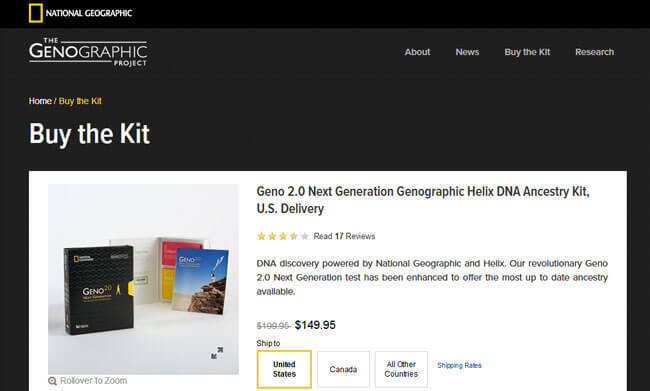 DNA testing kit online order – Note that the order should be placed through Helix’s website, not National Geographic’s. Registration and sample collection – After your kit arrives, you can collect your DNA sample at home. The kit uses buccal swabs instead of saliva and other viable specimens. Also, note that you must register both with National Geographic and Helix in order to proceed forward with the testing. This is an unnecessary hassle, as they could obviously connect their databases for Genographic customers. Sending your DNA sample back for testing – Once your DNA specimen is secured within the provided bag, you can simply mail it to the specified address via the pre-paid postage yellow box. This only applies to orders within the US. If you’re having the DNA test kit shipped to Canada or other countries, the return postage is not pre-paid. Inspecting the results – After the sequencing of your genome is complete, you’ll be able to view your final results on both websites. Note that the results won’t be mailed to you. National Geographic is a well-known brand that has been uncovering humanity’s genealogy for over a century. Its partnership with Helix in 2016 (after Family Tree DNA) added a different genetic dimension to the research, making its scope much broader and more accurate. The National Geographic Ancestry Test is a significant improvement over the original version of the test. Its providers learned quickly and implemented all the required enhancements, making it a far superior product. Utilization of Next Generation Sequencing for improved ancestral results. More than double the number of covered regions of the world and 60 reference populations provide more accurate and precise regional ancestry. Improved paternal and maternal haplogroup calls, alongside 20 brand new ancestral stories. Haplogroups started forming some 60,000 years ago when we as a species left Africa and began establishing our migration routes. 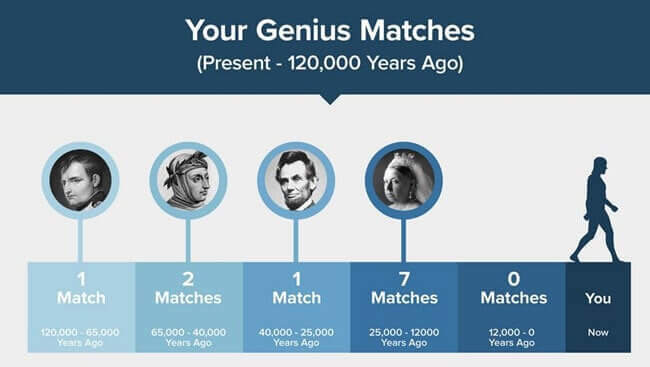 Historical Genius Matches is a new feature that can identify your potential genetic relation with some of the best-known geniuses in existence (Nikola Tesla or Benjamin Franklin, for example). This used to be a feature that you had to order separately and pay extra until it was incorporated into Geno 2.0 Next Gen.
Full access to the ecosystem of Helix’s DNA apps. Your ancestral migration patterns 500 years in the past and beyond (starting at 500 years in the past, not 500 years to present day). The test explores your autosomal chromosomes, alongside Y-chromosomes and mitochondrial DNA. As we already stated in this National Geographic Ancestry Test review, the number of genetic markers checked is truly impressive, measuring 200,000 across the entire genome for regional and hominid testing, 10,000 for paternal line, and 3,000 for maternal line. Neanderthal DNA percentages, showing how much DNA you actually share with your Neanderthal ancestors. You can transfer your results from National Geographic Genographic Project to Family Tree DNA absolutely free of charge. All you have to do is enter your Geno ID code on the official website and Family Tree DNA will compare your raw DNA signature against its database of genetic profiles. The price of the test is 149.95$ (discounted from 199.95$), which does seem rather high compared to some other ancestry DNA testing services on the market. The average turnaround time is 6-12 weeks from the moment your sample arrives at the testing laboratory. Each DNA testing kit contains supplies for one person. One limitation is that you’ll have to send your kit to Helix’s testing facility within 12 months of purchase. Finally, keep in mind that the National Geographic website states that your results will not be mailed to you under any circumstances. Instead, you’ll have to inspect them online. Contrary to that, Helix’s site states that you can expect your final results mailed to you by National Geographic. They should definitely sync their descriptions and avoid unnecessary confusion. National Geographic is one giant research project, constantly trying to penetrate the very core of human genealogy. This ancestry test is its attempt to answer the most relevant of questions regarding our origin and the phenomenon of humans populating the Earth. 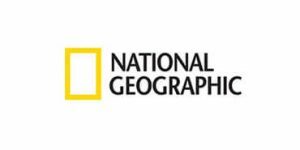 As an active participant in the project, you are put in a unique position to help National Geographic by contributing to its Genographic database. This, in turn, helps its researchers and scientists, who are working on building a comprehensive map of the earliest stages of our history. Of course, your potential participation is completely optional and it is not a prerequisite for viewing your results. National Geographic is a trusted brand and it has a reputation to uphold. Its security policy is rather strict, which means your data is safe and secure. It will never share your personal information with third parties without your explicit consent. The information we’re talking about includes your contact and payment info, as well as your test results. On the other hand, National Geographic strongly encourages active participation in its quest to uncover all the mysteries shrouding the human ancestry. If you opt to do so, you should know that it may share your DNA findings, keeping you anonymous at all times, of course. 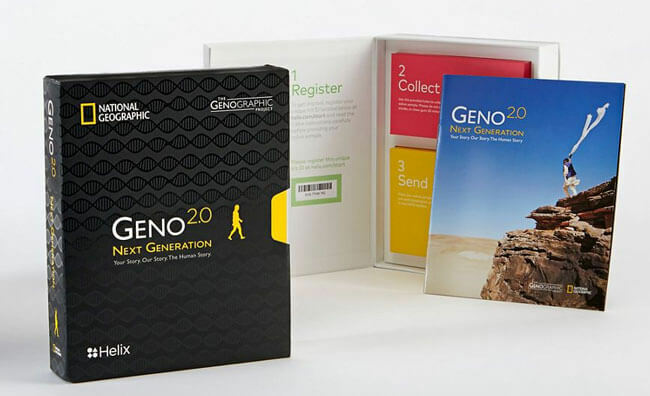 The National Geographic Ancestry Test comes with a shipping fee, on top of the original price of the test. For customers ordering within the US, shipping and handling costs amount to 9.95$ per kit. If you’re shipping your Geno 2.0 to Canada, you will be charged an extra 10$ for shipping and handling, plus 9.95$ for the testing kit. Other countries have a shipping and handling fee of 20$, alongside the already mentioned kit price. The kit is distributed worldwide, just make sure to tick the right button in the order menu. National Geographic definitely made the right move with enriching its genealogical research with genetic science back in the day. Making the DNA test widely available should help its researching efforts as well. However, one fact still stands. Geno 2.0 Next Gen definitely focuses more on telling the full tale of your ancestors instead of focusing on your specific genetic information derived from the ancestral data pool. If that’s what you expect from a DNA test, it will fulfill all your expectations. If you just want to find out more about your unique genetic predispositions, makeup, and origins, this might not be the right test for you. Our ratings are the result of an objective and independent evaluation of National Geographic Ancestry Test, generating the final rating that reflects the overall quality of the company. Ratings may change as the service changes. National Geographic Ancestry Test user rating based on 19 user reviews. I just received my results from Helix 2.0 from National Geographic. I don't understand any of it at all and I have a college degree. It makes absolutely no sense to me and was a complete waste of money. It's a waste of time and money, i purchased two tests one for my brother and one for my sister. Even though my brother and sister are half siblings and the fathers come from different regions, the test results were identical. I contacted them multiple times and they insist there's nothing they can do. This test is a fraud, don't waste your money on it. I purchased this test in May of 2017. It sat on my desk for the rest of the year, and in January of 2018 I sent it in, Two weeks later, I was notified that my DNA had been sequenced. I purchased the Ancestry test in late April of 2018, and within 15 minutes the results were in my email box. I signed up for the app for the third party that processed it, and was completely blown away by the results. Unlike others here, I have had a perfect experience, and am eager to learn more. It gave me kind of what I expected from South America, but I was blown away by the Western Europe connections, Asian Connection, and Finnish backgrounds. If you know what to expect going in, I think you will be quite satisfied. If you are expecting a full report after sending off for sequencing you will be disappointed. I believe this test to be very accurate, and very complete. It goes back 200,000 years! I am enjoying this product a lot. Best of luck to all, and I hope you find what you're looking for! Do not waste your money! Actual reviews from real users for this product are very hard to find on a normal google search!! I was scammed by false positive reviews and made the mistake of purchasing 2 kits. Results are completely unusable and irrelevant--I can only suspect that entities are being paid for positive reviews...no I am not a conspiracy person either. I have opened my actual email address to spam for your benefit so you don't lose money like I did! Still haven’t received my results and it’s already been three months. Yes, THREE months! Don’t know what they’re doing, but nothing should take this long. I expected the results to be eye-opening and exciting and they were mostly just inaccurate. Bought it for all our closest friends for Christmas, they absolutely loved it! I ordered 2 tests. 1 came late. The other is still not here due to their errors. No compensation. They said they didn't have my phone number but i know i provided it. It wont even let you order without it. And they could have contacted me via email. They had it. And you get no print out and they suggest you dont print it. I dont know why. Don't order from them. They are awful. Go to another company!!!! I, frankly, am disappointed in the results. I expected FAR more from National Geographic. The ethnic results are vague and broad. I suggest those interested in DNA tests look at the top 3 testing companies (Ancestry, FTDNA or 23andME) and spend their money more wisely . I just later found out that I can't get my raw dna data to try and find relatives in other databases. Interesting test but I would really like if it was more focused on me and how my ancestry influenced me. I would really like to see some health results added into the mix. We found 0 verified National Geographic Ancestry Test discounts for April, 2019. There are no National Geographic Ancestry Test coupons or discounts right now. 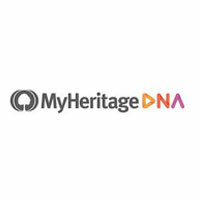 If you like National Geographic Ancestry Test but aren’t sure whether they are truly the ideal choice for you, you may want to take a look at our comparisons below to discover if one of their competitors is more suitable for you.